"I love all labs-American, British, and Irish. 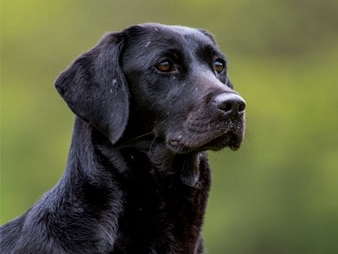 I train them all and recognize both their strengths and weaknesses, but for a family companion that also makes a "calm but ready" retriever, the British and Irish field trial lines are a good choice. The word "calm" is important-there just seems to be a nice balance with these dogs. 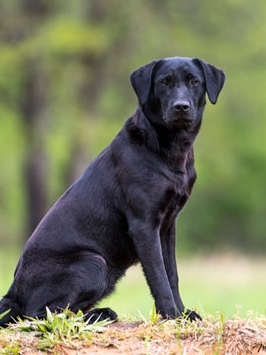 Not to say you can't find that in some American dogs as well, but these traits of being a balanced family dog just seem to go hand-in-hand with these British and Irish bloodlines." Preacher is Marty's personal dog. He is extremely well bred as both parents were imported champions that ran and placed in national championships in Ireland and the UK. Preacher is a very focused and self disciplined hunter. During the 2017-2018 season, Marty loaned Preacher out to his good friend, Brennan Hudson of Badlands Waterfowl, hunting in Alberta Canada and Oklahoma. With the help of Brennan, Preacher picked up just shy of 3000 birds for the 2017-2018 season. Preacher is a staff favorite and loves everyone. He is a sweet natured boy, but with a flip of a switch, Preacher will blindside a big Canadian goose like a linebacker. He is very laid back in the home, truck or office. Preacher weighs approx 68 lbs of solid muscle. "Preacher is a hunting machine and the biggest blessing of my hunting / guiding season. I strive to run the best operation I can. 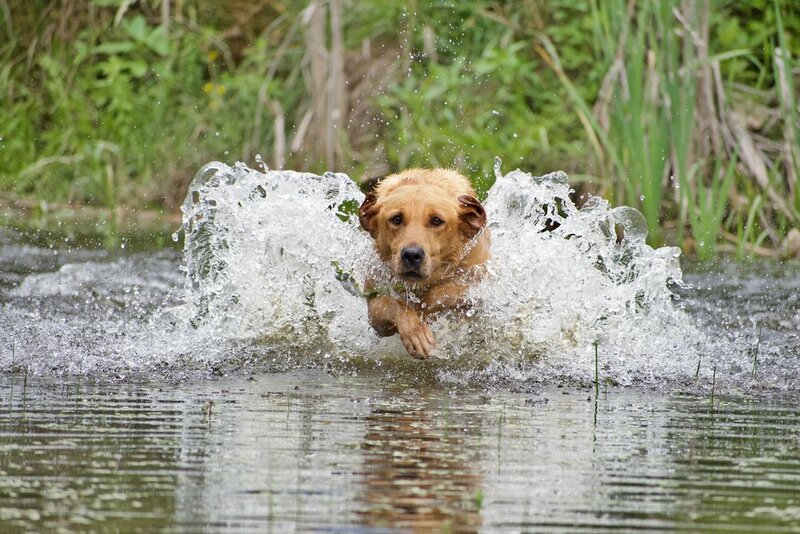 When your clients say 'Man the hunting, lodging and meals were fantastic, but the dog work was worth the trip.' Comments like that are what makes it for me. Thank you for letting Preacher be apart of what of my life this past season." Biddable, strong, and steady as a rock describes Alfie very well. Standing at 70 lbs, He is a handsome lad with an astounding nose and working ability. He has picked up thousands of birds while in Ireland and will be hunting waterfowl here in the U.S.
Alfie has a great off switch in the house and out in the field. 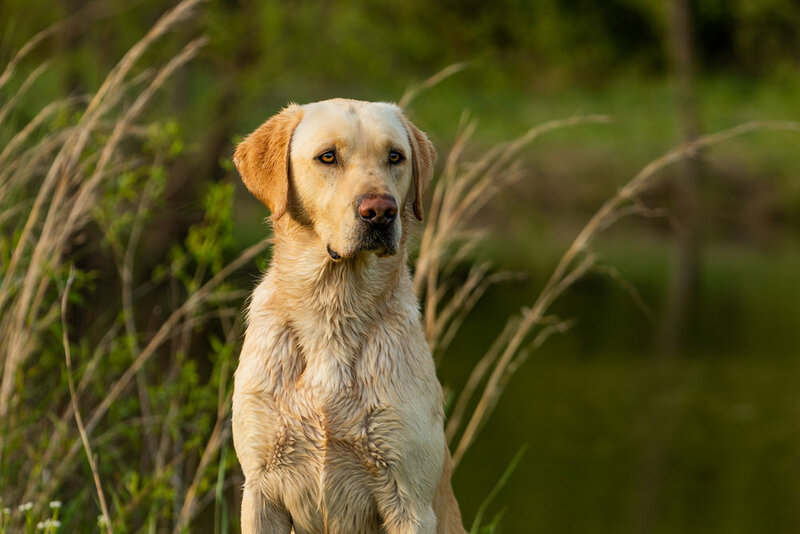 He easily lays around the house ready to give you his affection, but with the flip of a switch, he rockets off the line to his retrieve and hustles back. 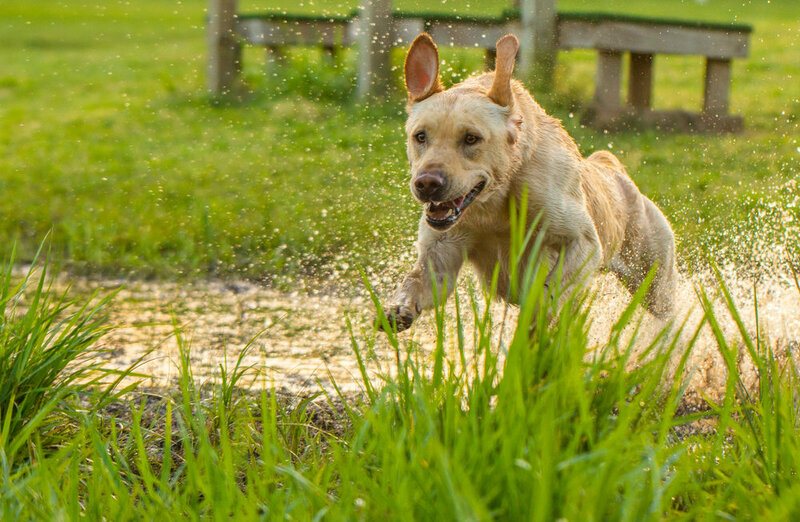 Something we love to see in our dogs. Brother and litter mate to FTCH Drumgoose Warlord, a very well known champion in Ireland, Alfie has an astounding pedigree to back up his bloodline. Alfie’s sire is FTCh Astraglen Fergie and his dam is Int.FTCH The Newcam Boss, a very accomplished dam in Ireland. She is something you do not see everyday. Weighing in at 70 lbs, Henry is a well built Labrador with so much natural talent. If you had to describe him with one word, it would be confidence.You can line him up for a blind and once he is sent he takes off like a rocket, covering ground swiftly. Henry has a great motor on land and water, unafraid to tackle any obstacles that get in his way. Henry is very attentive and always waiting patiently, ready to show off is explosiveness to spectators. From the time he landed in the states, he has adjusted very well for Torrent and Lexie Johnston of Memphis, TN. He has been great indoors and loves to meet new people. During his time in England, Henry was very well socialized and exposed to an abundance of estate shoots, giving him the experience as a hunter that we like to see. Harvey is my rock. I've grown to love and admire him greatly. If I could package the perfect lab for myself it would be him. He passes on his wonderful hunt drive as well as his outstanding calm temperament to his pups. When sent, he is like a heat seeking missile. If it's out there, he will find it. In the blind, he is so quiet you forget he is there. Calm, steady, what more would you want? 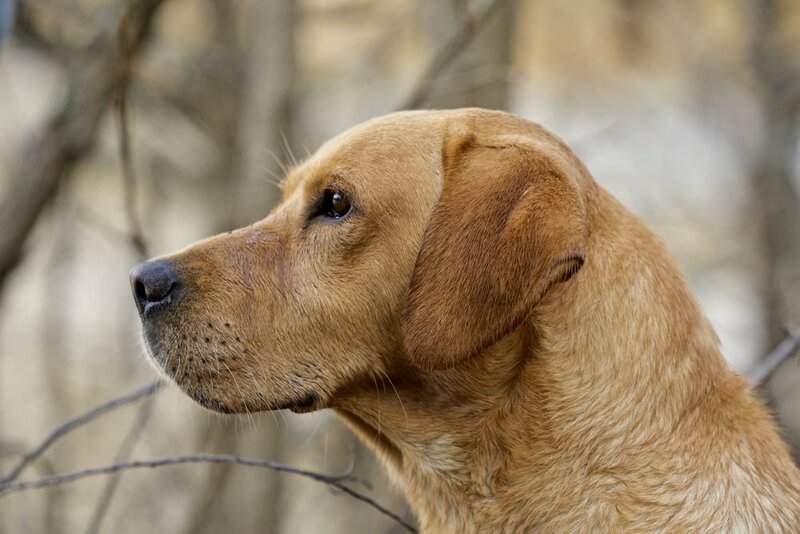 If you were to look up the definition of a perfect gundog, Pete would be just that. He is quiet, attentive, and very self-disciplined. Pete is what we like to call "calm but ready." You can often find Pete in the office, but you have to look for him with his excellent indoor manners. Pete keeps to himself until called upon, giving his full attention to you. While in Ireland, Pete picked up birds at Shane Castle for a number of years and specialized in tracking down runners on driven shoots. 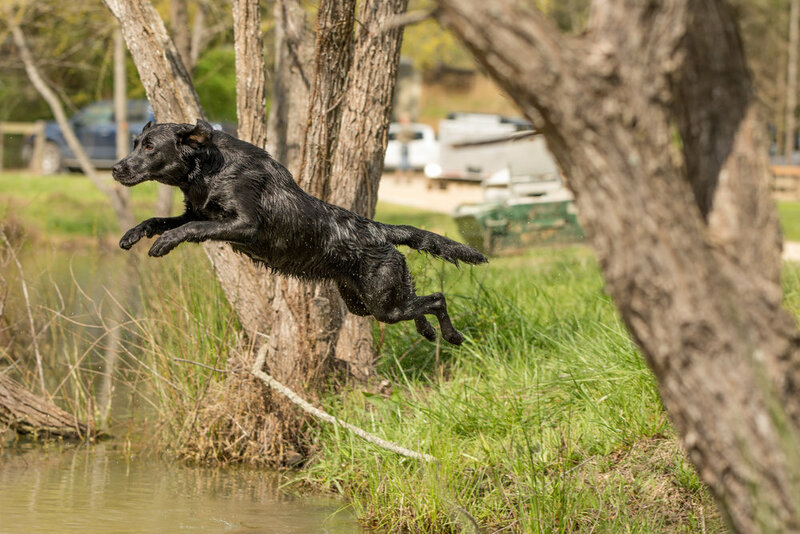 He has adapted well here in the U.S. and we believe Pete’s superior genetics paired with our beautiful dams will produce some excellent puppies. Mont is bold. He thinks he can do anything. That is an excellent trait for a gundog to have. He has a very strong build, big boned and with a large square head. His personality is very endearing and he enjoys hanging out at the office. We became fast friends from the moment he arrived and I enjoy working him very much in the field. Mont was raised and trained in Ireland. 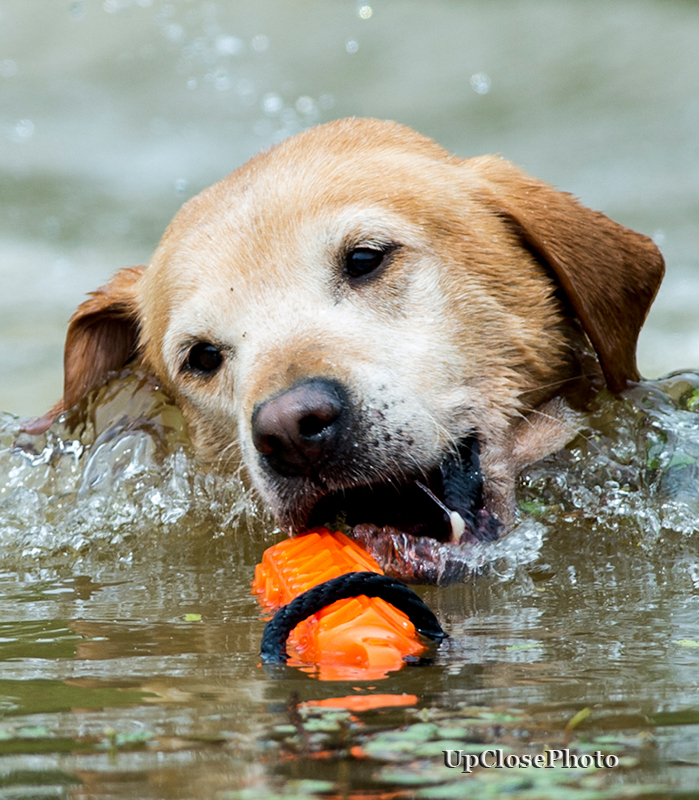 He was used for a pickup dog for driven shoots but also is a natural waterdog and has no fear. Mont is the full Package. Driven, controlled, strong, handsome, smart, biddable, but also with an "Off Switch". In other words Mont is "My kind of dog". Fern is an elegant lady who has style. She is FAST and makes quick work with every task she is given. Fern is confident, which is something that we want in our females. When she isn't hunting, you can find Fern with Jeremy Dembinski of Memphis, TN. Fern has proven herself as an excellent hunter and a wonderful companion. Mindy came to us from Ireland in the Summer of 2017. 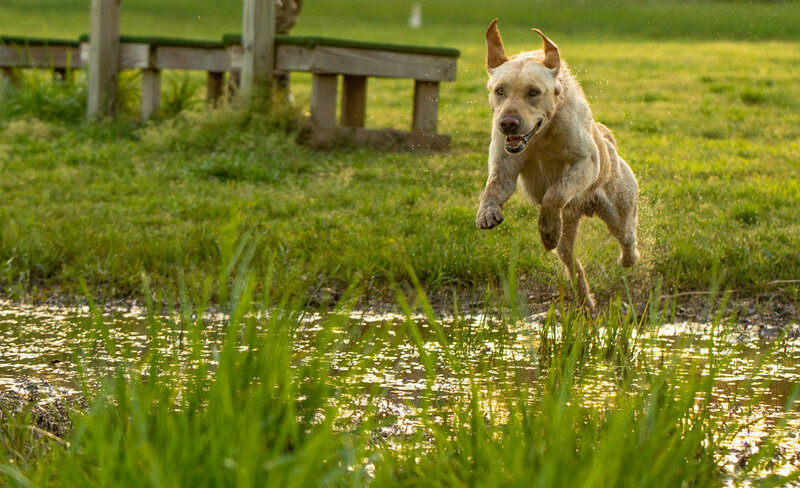 She has style that brings a smile to your face, from her keen nose for fowl to her robust water entry, Mindy is the type of dog you would want to sit back and watch work. 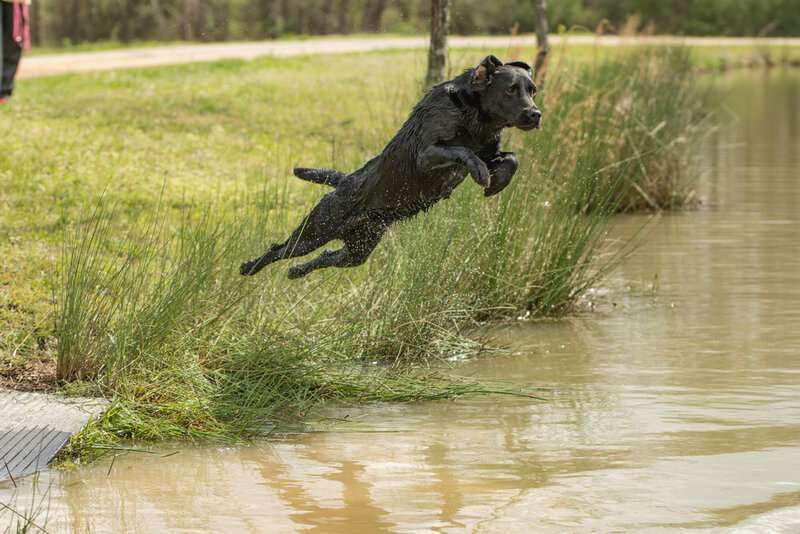 She is calm and collected, but always ready to retrieve when called upon. Mindy is always willing to go the extra mile to please her handler. Mindy is currently hunting/guiding with Ken and Gatilin Jones. Here is what they had to say after hunting her first season here in the States: “Hey Marty, I just wanted to tell you that Mindy is absolutely phenomenal!! She is hands down the best dog that I've ever hunted. She caught on really quick and is already acting like a seasoned pro." We are excited to add Belle to the SLK crew. 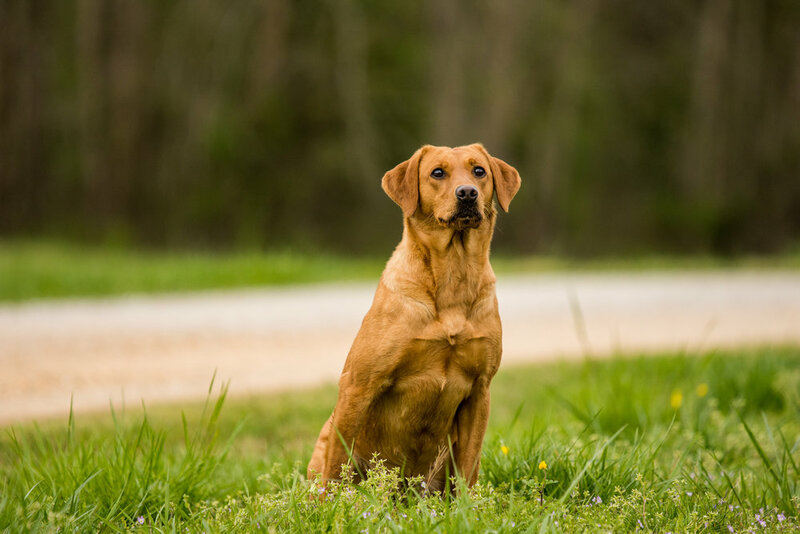 She lives with Justin Brock of Madison, MS. Justin and Belle have plans to achieve her Senior Hunter title in 2018. Essa is a sweet gal. She is a very loyal companion and huntress. Essa is a trainers' dream. She listens well and does every task at 110%. Essa lives and hunts with Murray Shows. Here is what Murray had to say about Essa: "Essa is a little 42 pound red fireball that is two dogs in one . She’s steady on the stand and always gives 110% effort on the retrieve. After the hunt, she switches to family mode and lays around just waiting for affection. I couldn’t ask for a better dog to be around my kids . She’s definitely a people pleaser. Rain is stunning. 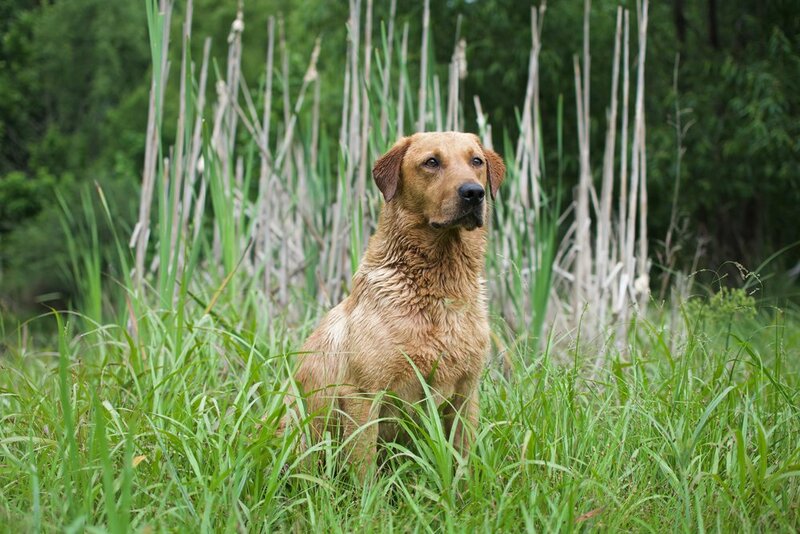 She not only has the looks, but also the the ability that we look for in a hunting retriever. Rain is always focused and will work for anyone. She listens well and is loyal to her handler. Rain is also incredibly alert. She is always eager for her next command, looking into your eyes. Coupled with her looks and focus, Rain has DRIVE! She is very swift on her feet and will run down a bird with precision. Rain hits the water like a freight train and isn't afraid to do new tasks. She is a versitile gal. Aspen is out of FTCH Levenghyl Boxstone (Allie) and Marhystin Charis (River). 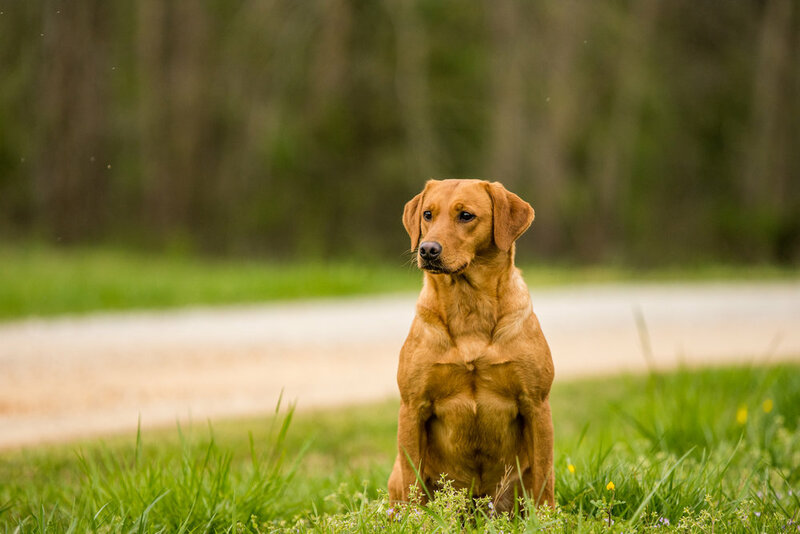 These two are some of the finest Labradors I have ever seen for a well balanced hunting companion. Aspen is a very strong, well- proportioned girl and will throw beautiful pups. Aspen is approx 50lbs. Aspen lives and hunts with Cole and Bess McKinney of New Albany, MS.
Eazy has what it takes! She has the wonderful combination of Drive and gentleness . She is sister to Scout and half-sister to Sioux. These three girls make up what I consider to be almost perfect for a duck hunter who also wants a family dog. Eazy loves water and hits it hard. And is very stylish to watch in the field. She lives with Clark Jacobs of Jonesboro, Ark and spends everyday of the hunting season in the public timber of Arkansas. Roux is a well built female with a nice blocky head. 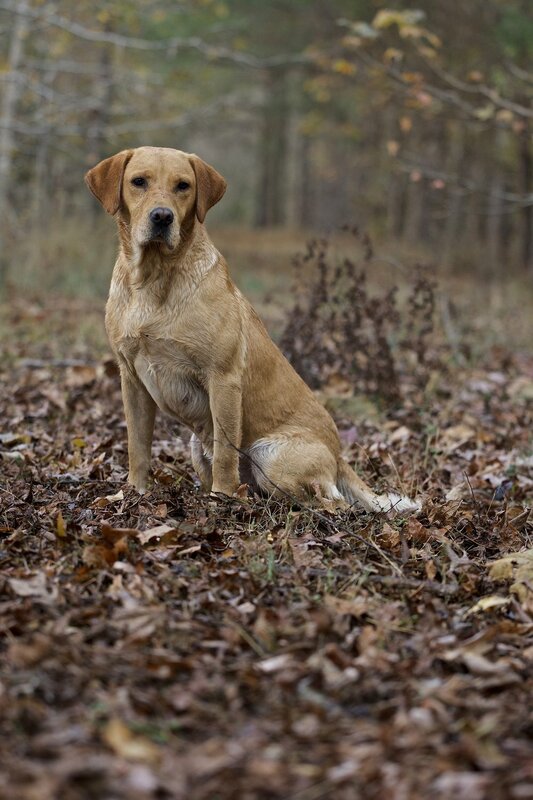 She has been an excellent mother for SLK, producing exceptional hunting and family dogs. She is always by your side ready to please. Roux is out of FTCH Rocky Brook Lincoln (Brook) and Bournepark Gilly (Emma). You can find Roux happily living in Tennessee with the Ossorio family. Penny has been a joy to watch grow up. As a member of our Care Program she has enjoyed the company of her best friend Alec “Big O” Ossorio. 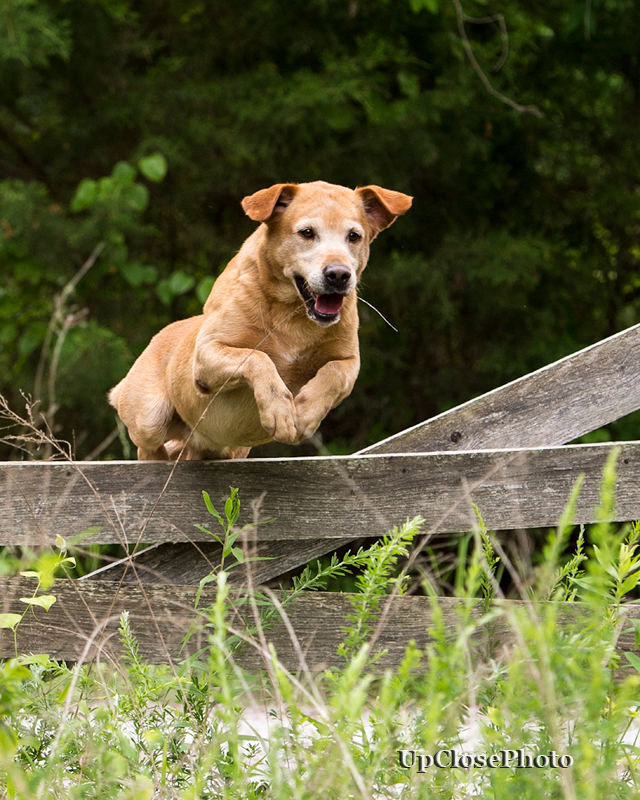 Penny is a fast and hard charging retriever. While at home or waiting for the next volley, her wonderful off switch comes in handy when it is time to be still in the blind or when it is time to relax at home. 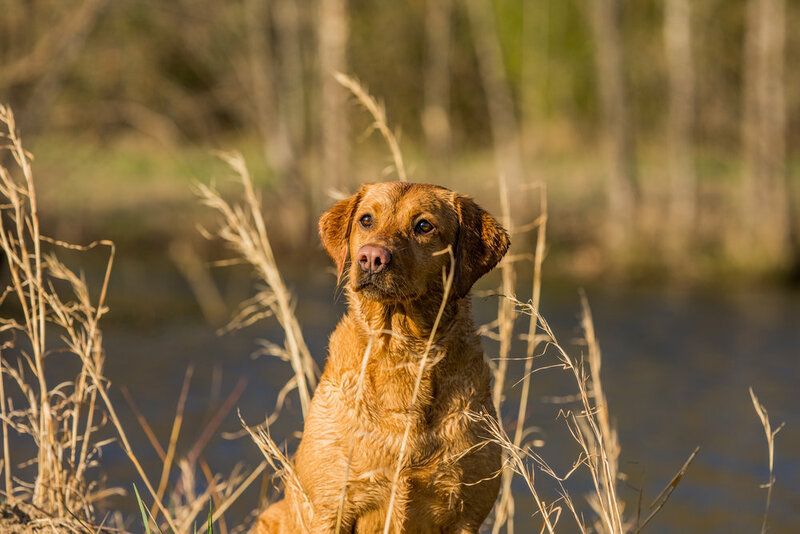 Just shy of 3 years of age, she has already made 440 retrieves and Big O is looking forward to her making many more. 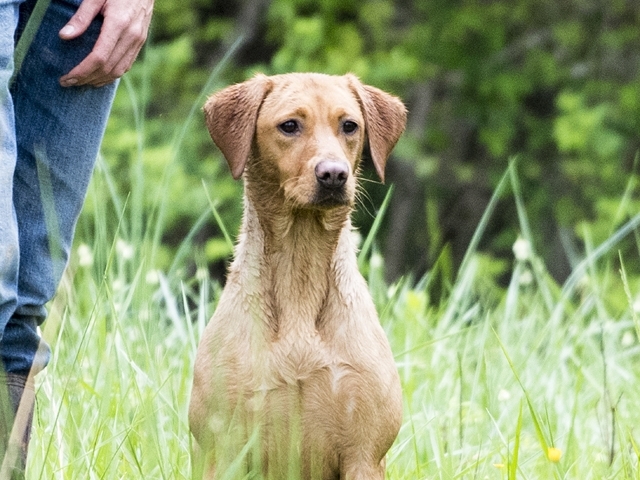 Penny loves to hunt and should pass down her wonderful character and abilities to her puppies. Penny is a light Fox red color and weighs about 50 pounds. Sally is one of the most well bred females in the country. Both parents are Field trial champions in have run in their countries national championship. Sally has a nice build and can really move. Sally is a real sweetheart and loves to hunt. She weighs about 55lb. Sally lives with the Hagwood family in Jackson, MS.
Ivy is beautiful to look at. She has a masculine head and a strong body. She loves the water and birds and everything about it. She comes from two Field Trial Champions, FTCH Defleet Neon of Fendawood and FTCH Kilmona Jodi (Belle), both of which ran in their countries championships and proved themselves with awards. Ivy is approx 50lbs. Scout thinks she is 10 feet tall. She is fast. She loves to jump out as far as she can off the dog stand. Scout lives and hunts with Daniel Brummit. She is his baby and he is proud to take her anywhere and everywhere. Scout has become an excellent hunter and in time will be world-class. At home she loves her dog bed and will hang out on it for hours. If you want a driven yet controllable and loving puppy you should consider Scout as your Dam. 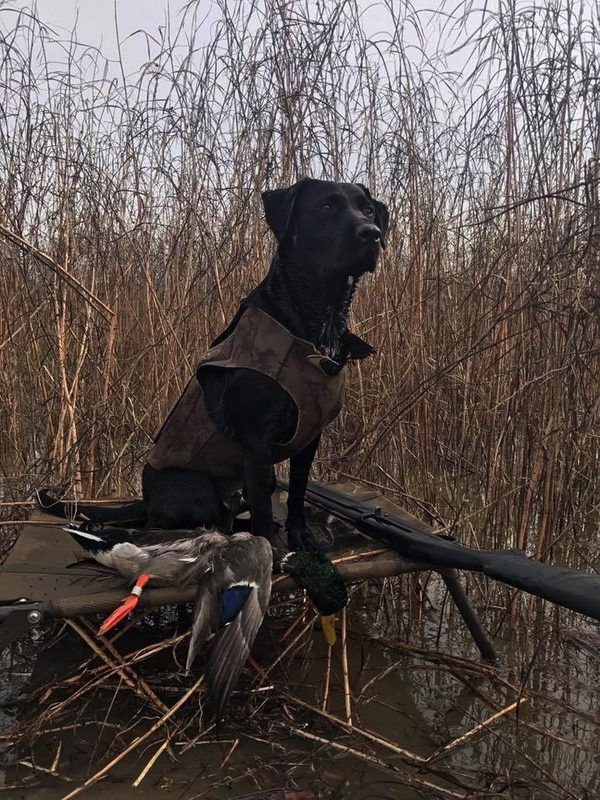 Scout served as a pick up dog for Tallahatchie Hunts the 2017-2018 season. She had the opportunity to pick up hundreds of birds, serving Daniel well. Sioux is possibly the most stylish female retriever I have ever seen. I love to watch her work. She loves to go go go. She runs back as hard as she runs out. Sioux spends her duck seasons with hunting guide. Garrett Williams of Stuttgart working out of the famed 5 Oaks Lodge. Sioux also lives with Garrett year round and is a great companion in the home . 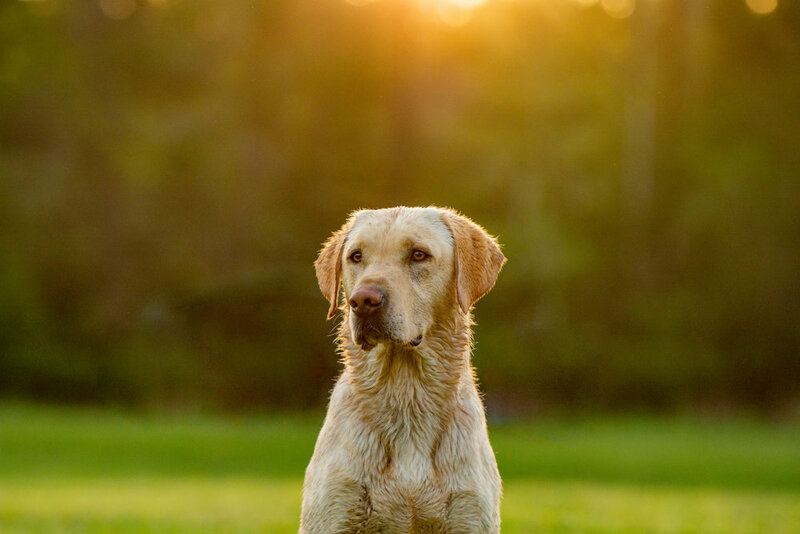 She’s everything you would want in a hunting retriever. She has no quit. Sioux is 50 pounds and most of it is heart. You cannot go wrong with the puppy out of Sioux. Dakota is one beautiful dark fox red girl. She is a very nice size and has a sweet endearing personality. 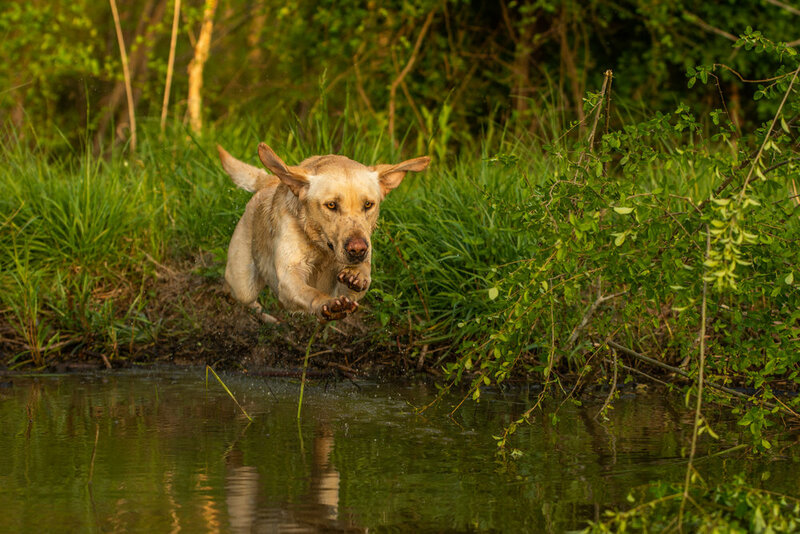 Her parents are both excellent hunters and have passed down their wonderful retrieving desire and calm personalities to Dakota. She lives with with Dr.Jason Robinson, DVM of Arlington, TN. Dakota is about 50 pounds. Lottie came to us in 2016. She is a beautiful yellow female that is an excellent worker. At 50 pounds she can really move. Lottie has a very nice soft mouth when handling birds and an excellent drive when sent for a retrieve. She loves working in water especially. Lottie is a very affectionate companion for Walter and Anna Moses in Jackson Mississippi. Anna is a very good dog handler he was worked with dogs for many years. Swift is just that..SWIFT. we named her that as a puppy because of her speed. She has matured into a very nicely balanced hunter with a wonderful controlled nature. She is a beauty to watch in the field, and has given us many wonderful puppies as well. Swift lives with SLK Trainer David Spaulding.